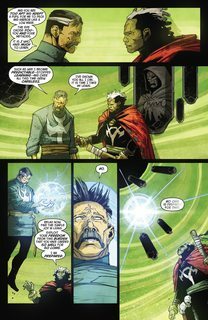 Launching from the pages of New Avengers, Jericho Drumm assumes the role of Marvel’s new Sorcerer Supreme as DOCTOR VOODOO! 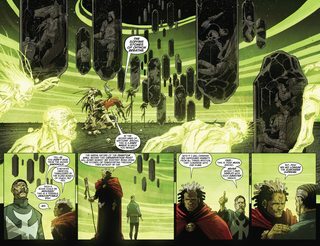 Having foreseen an unimaginable evil that will soon envelop the Marvel Universe, the Eye of Agamotto has passed the mantle of Sorcerer Supreme on to the one man who has the unique gifts to stave off the coming darkness — but is Doctor Voodoo ready for the momentous duty as avenger of the supernatural? As Jericho begins to grapple with his colossal new position, malevolent beings of vast power see his arrival as an opportunity to strike. 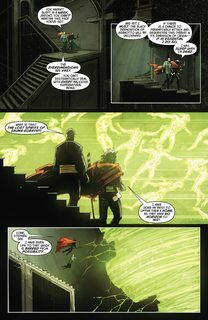 Rising stars Rick Remender (PUNISHER) and Jefte Palo crack open a new chapter in the Book of Vishanti to tell the ongoing adventures of the new Sorcerer Supreme in the Mighty Marvel fashion!